Information on the Regency experience of Christmas has always been sketchy. Christmas was certainly not the consumer event that it is today. Scrooge, in the later Victorian era, was not all that unusual--business often took place on the 25th of December. 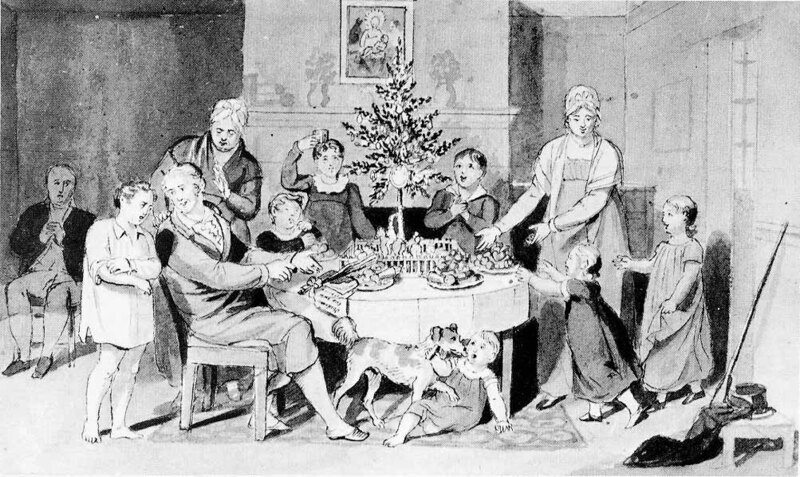 But families still celebrated and often had the latest fashion in decorations--the Christmas tree. Most Regency celebrations looked back, as we do, to simpler times, and more whole-hearted enjoyments. But in looking through Regency newspapers, I have come up with some of the events and ideas that formed the Regency Christmas.